This refreshing zucchini and yogurt salad is ready within half an hour. With only a few ingredients and a very simple dressing it's the perfect side dish. 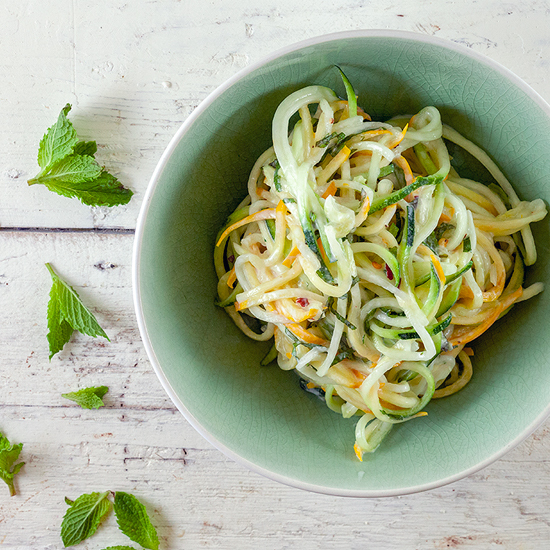 RINSE the zucchini and summer squash and use a spiralizer to create spaghetti. If you don’t have one, you can use a knife to divide them into thin slices. TRANSFER them to a colander and add some salt. 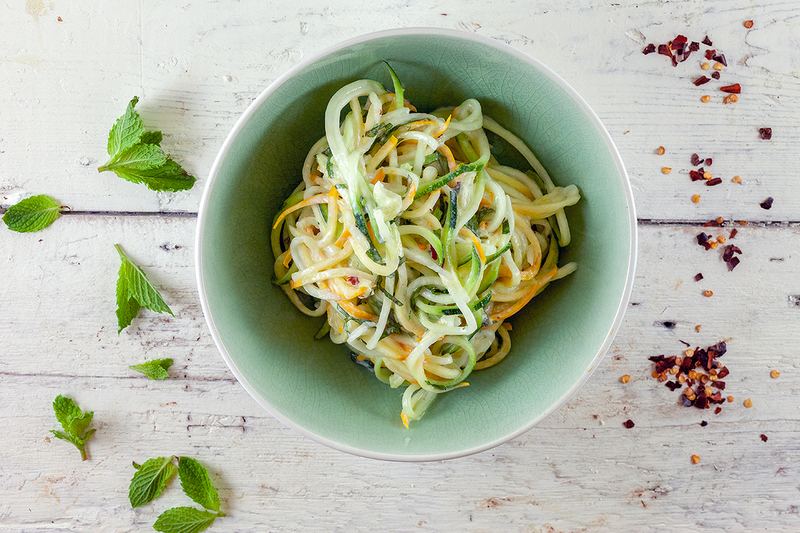 Wait about 15 minutes and you’ll notice the liquid that drains from the zucchini. Finely CHOP mint leaves and combine with yogurt and vinegar. 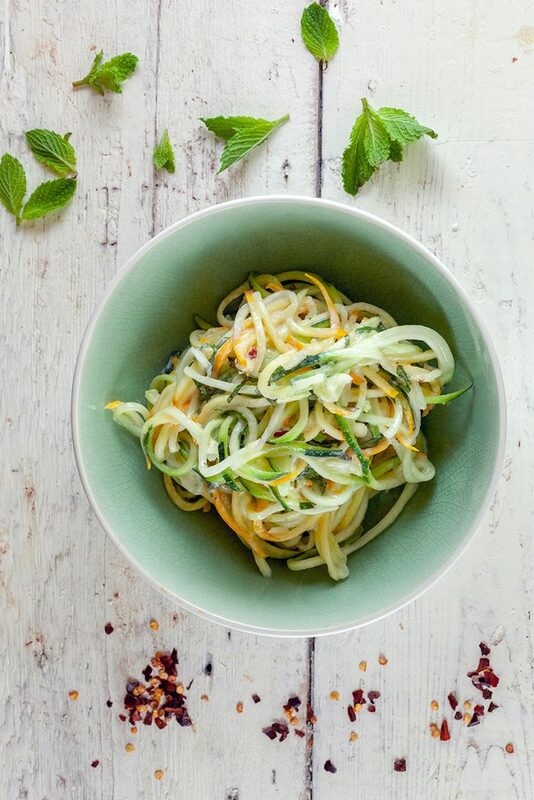 ADD a bit of chili flakes, be mindful the zucchini will absorb the spicy flavor very well. SEASON the easy dressing with pepper and salt. COMBINE the drained zucchini with the dressing and check if it maybe needs some more pepper or salt. Enjoy!